Failed Senate candidate Beto O’Rourke will rally Monday against President Donald Trump in El Paso, Texas. 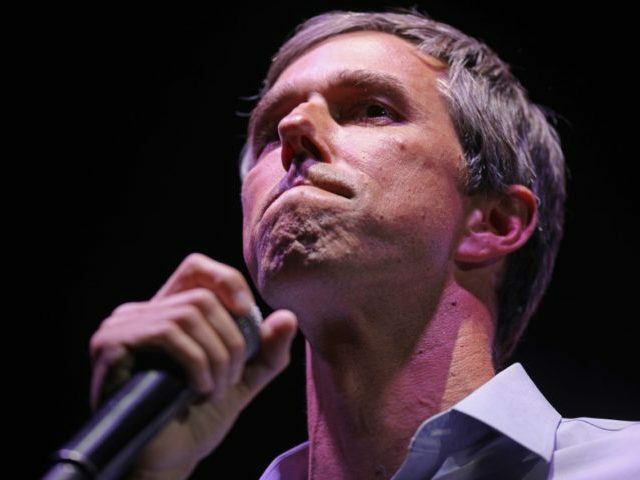 O’Rourke is joining the “March for Truth” campaign sponsored by several leftist groups protesting the wall and Trump’s political rally also scheduled for El Paso, Texas on Monday. More than 60 local musicians plan to also join the event. “We will meet lies and hate with the truth and a vision for the future from the U.S.-Mexico border,” O’Rourke said in a Facebook video on Saturday. As he explores a run for president in 2020, O’Rourke has condemned Trump’s demand for a wall on the southern border. “You and I, as Americans, have caused the deaths of others through these walls,” he said in an interview with the Washington Post.